Attract Your Music Audience Easy! Glory Website Template is Your Key! Introducing a new template - a Recording studio. In this template, you will find everything to present your recording studio in the best possible way. The template Recording studio is designed with all the features of this nature of the business. You can easily find in the sound studio template all necessary blocks and sections that will present the benefits of your sound studio to the website’s customers and visitors. 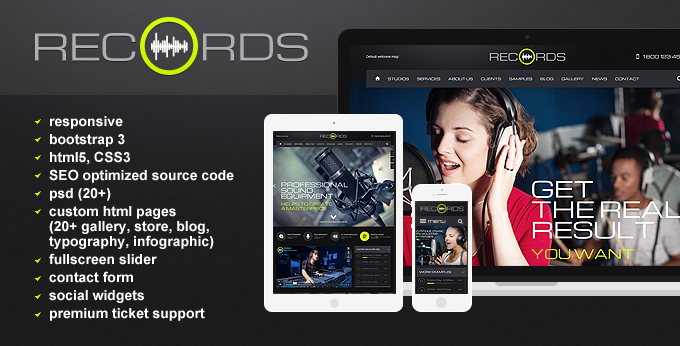 On the main page of the Recording studio, you can find a block with studio pictures and their descriptions, a block with projects, sound studio equipment, customer reviews, and a block with producers and technical experts of the sound studio. The template also provides an option to order the services of your Recording studio by simply filling in the order form directly on the website at any time convenient for the client. The block with the list of Recording studio clients deserves special attention. It has an interesting design and looks awesome due to CSS effects. Also, there is a block with social networks (Facebook, Twitter, Instagram), which means that your customers will always be up to date with the latest news from your Recording studio. Each page of the sound studio template is designed so that you can present as much information about your Recording studio as possible. There is a separate page with the projects, where you can add not only photos of new projects and albums of your customers, but also soundtracks recorded in your Recording studio. On the website page we tried to provide a large number of services provided by Recording studios: (recording, mixing, production, sound design, video shoots, voice over, mastering, post-production, engineering). 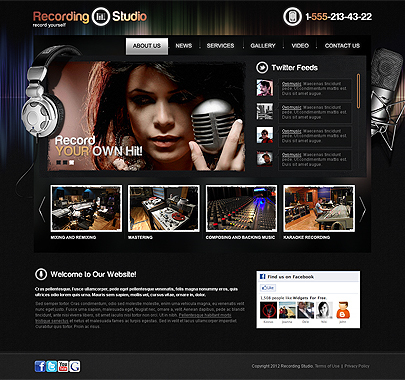 The Recording studio template is a simple way to tell everyone about your sound studio. It is easy to use, has a thoughtful and at the same time colourful design and excellent CSS effects. Don't hesitate! Use this Premium Html5 Bootstrap Responsive Theme to Achieve Your Goals! 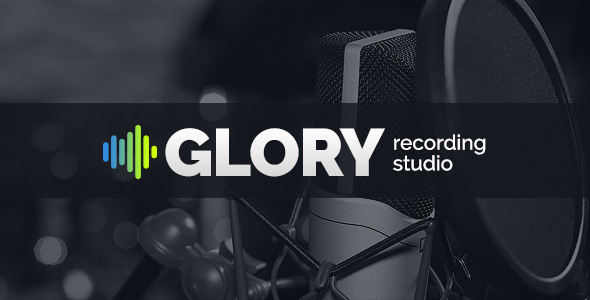 Glory Recording Sound Studio Html5 Website Template is Your Chance to Succeed!